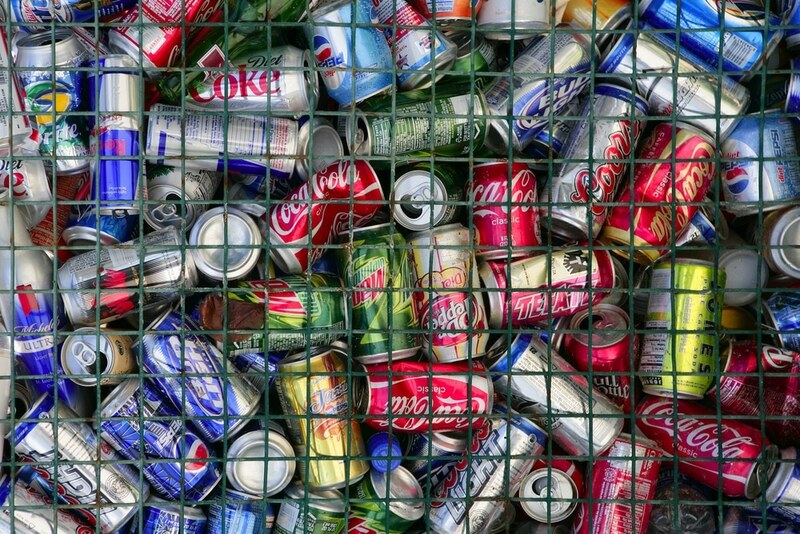 Aluminum cans for cash? It sounds like a noble idea to sell your old soda cans to get a little side cash, but is it really practical? After all, wouldn’t you need a mountain of cans to even earn a small amount of money? Most people assume that collecting these cans isn’t worth the time and they simply toss them in the recycling bin. Don’t give up so quickly, there is extra money to be made by selling soda cans and beer bottles. If you work in a place that has vending machines with an endless supply of aluminum cans you have the potential to bring in a nice chunk of money. Concerts are a great place to gather used bottles and cans, especially outdoor venues. People have reported making at least a hundred dollars after just one concert. That's some serious cans for cash if you ask me! Another great place to find cans and bottles is at festivals where thousands of people cycle through. If you prefer to set up recycling bins and leave them each week, simply get permission from the proper authorities before doing so. This is a great way to collect cans at stadiums and even schools. Many people don’t have time to deal with selling their old cans for cash, so if you ask around to family and friends they would more than likely be thrilled for you to take them off their hands. A good idea is to agree to a weekly pickup so they aren’t having cans pile up in their garages. Don’t forget to ask about the workplaces of your family and friends as well. Break rooms often have soda machines and this can be an easy way to collect more cans. Overall gathering and selling used cans and bottles will likely never be a large money maker, but if you have the time and resources it isn’t a bad way to make extra side cash. If you can locate cans in places that you visit on a weekly basis anyway this is the ideal way to collect them. However, if you are spending gas to drive across multiple towns, the payout will not likely be worth the hassle. The amount of money you intend to make collecting cans is directly related to the amount of work you are willing to put into it. Do your research on the deposit laws and metal value in your state and then you can decide if this is a side venture you want to pursue.